We at Wood Floor Planet strive to provide our customers with the best in high-quality, eco-friendly, and reasonably-priced wood flooring products in a wide range of styles. We have solid wood, laminate floors, and engineered wood in several species, stains and sizes as well as unfinished and pre-finished hardwood flooring in both domestic and exotic species. With our comprehensive range of wood flooring products, we are considered one of the leading supplier of these products for residential, commercial and industrial applications in New Jersey. We have more than 25 years of experience in the business and, thus, we know our wood! We have wood flooring specialists who will provide the answers to your questions, the solutions to your wood flooring problems, and the customer service you expect. However, we don’t rest on our laurels! We are always on the lookout for better wood flooring products because we believe that our customers deserve the best in their homes. We have established and continue to establish strategic partnerships with wood flooring product manufacturers for this purpose. And so, dear customers, we are proud to present our latest partnership with Lauzon Flooring! Lauzon Flooring is a leading supplier of finely-crafted wood products created with science and technology at its core. Its wood products are crafted with ingenious technology and authentic artistry with environmental integrity as its foundation. The result: Resilient, durable and strong floors with beautiful and healthy surfaces. Lauzon Flooring, like Wood Floor Planet, will not cut corners in favor of profits. We both know that for our customers, your homes are more than real property investments, but are comfortable and beautiful spaces for your rest, relaxation and repose. We offer only the best wood flooring products that modern science and technology can provide – truly, a shared commitment to excellence that ultimately benefits our customers. Lauzon Flooring has several outstanding wood flooring collections, but Wood Floor Planet’s keen interest was awakened with the Pure Genius technology. We consider it as pure genius, too, considering that the technology contributes to better indoor and outdoor air quality when the wood flooring products are installed. The Pure Genius technology was developed in response to concerns about the quality of indoor air in residential and commercial structures. Studies have shown that indoor air can be more polluted – five to ten times more polluted according to estimates – than outdoor air for several reasons. These include the increasingly air-tight environments in homes, schools and offices, which contain many sources of indoor pollution including building materials, furniture and furnishings, common household products, even pets. These sources continuously emit possibly toxic chemicals, contaminants and particulates, such as formaldehyde, which increases the risks for a wide range of ailments including asthma and allergies. Children, sick people, and the elderly are the most susceptible to exposure to these harmful indoor pollutants because of their compromised immune systems. Indeed, the importance of maintaining healthy indoor air quality cannot be overemphasized. We suggest choosing building materials, such as wood flooring, which emit the lowest possible amount of contaminants and pollutants. And we now offer the best choice in eco-friendly, health-friendly wood flooring – PURE GENIUS! With our partnership with Lauzon Flooring, Wood Floor Planet now offers our New Jersey customers in the residential, commercial and industrial sectors the world’s first smart wood flooring. The result: Pure genius! With the installation of Pure Genius wood flooring in your homes, offices and stores, you can enjoy the benefits of improved indoor air quality. You and your family and friends can enjoy up to 85% better indoor air quality. Activated by light. You are not required to do anything in the activation of the titanium oxide-based air purifying agent since both natural and artificial light will activate it. Triggered by air movement. You can turn on an electric fan or allow the breeze to enter indoors, which will start the air purification process. Basically, when the toxic contaminants in the air come into contact with the Pure Genius surface, its nanoparticles neutralize these pollutants so better indoor air quality can be enjoyed. Floors acting as filters. Pure Genius contains active nanoparticles that decompose airborne contaminants, such as formaldehyde, before converting them into harmless molecules including water and carbon dioxide. The bottom line: Pure Genius works on its own and works continuously to provide better indoor air quality! Choose to install the wood floors; maintain the floors for cleanliness purposes; and enjoy their beauty. Pure Genius is, indeed, the perfect floor for all types of residential and commercial structures where the importance of healthy indoor quality is a must for a healthy, safe and productive lifestyle. With the improved indoor air quality, the risks for a wide range of diseases including immunosuppressive disorders and respiratory diseases can be reduced. This is because it’s the world’s first and only air-purifier hardwood floor that decomposes pollutants and reduces stubborn odors, among other benefits. Ask for the Pure Genius treatment in Lauzon Flooring’s collections today! It is a built-in feature for the Hard Maple, Émira Hickory, and Authentik Red Oak series. It is an option for most of the Designer and Ambience Collections, an option that Wood Floor Planet recommends considering the numerous benefits that can be enjoyed from the Pure Genius technology. Come and visit our Wood Floor Planet office in New Jersey! 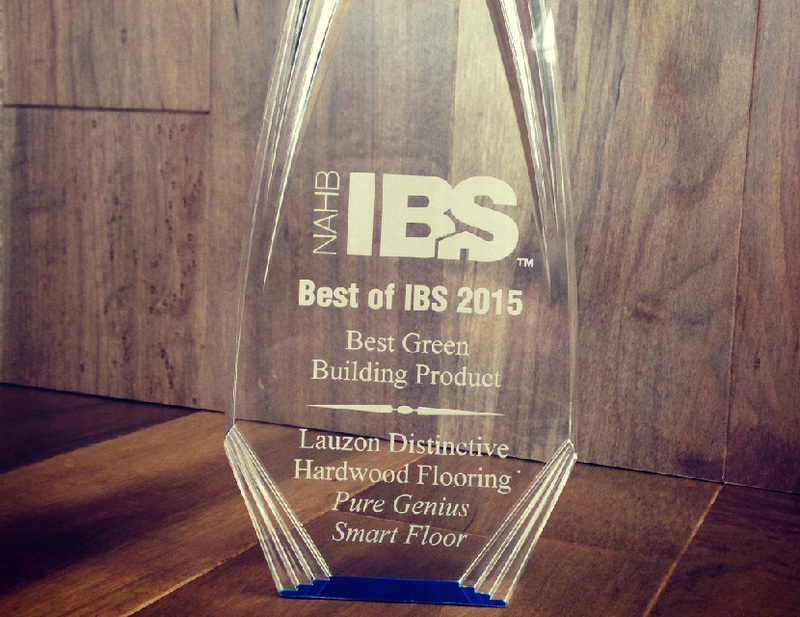 We will be more than happy to discuss and demonstrate the benefits of Pure Genius hardwood flooring. 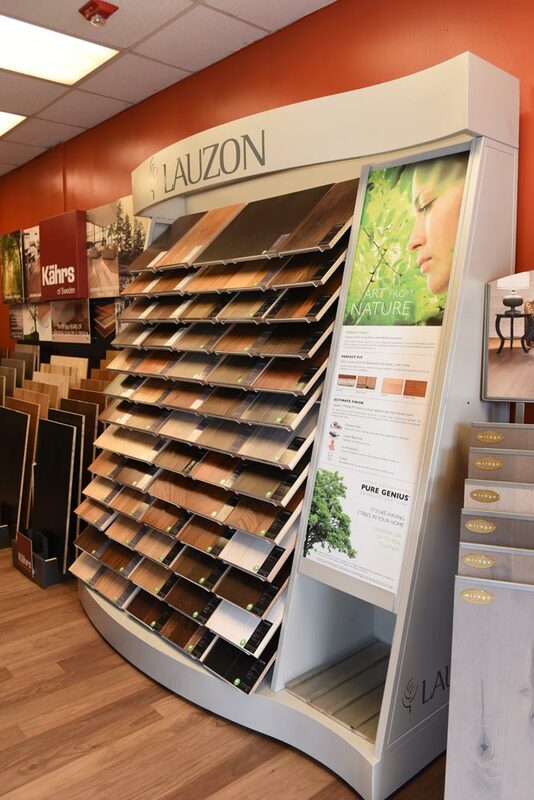 We can work together so that you can choose the best Lauzon Flooring wood product based on your design aesthetics, available budget, and expected benefits.